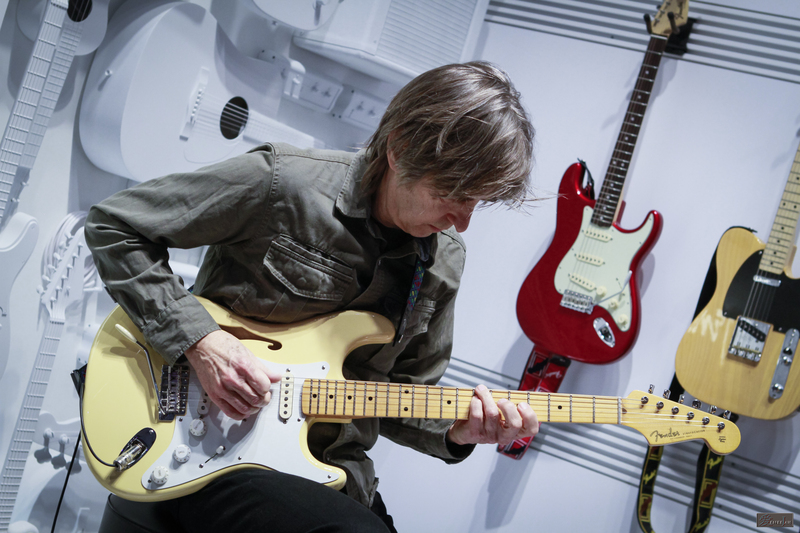 Legendary guitarist Eric Johnson and Fender debuted Eric’s new Signature Stratocaster Thinline during NAMM 2018. Fender finished the custom-chambered body with nitrocellulose lacquer, allowing the wood to “breathe” with character. The three single-coil Stratocaster pickups were specially voiced to meet Johnson’s specifications, and are mounted to the semi-hollow, two-piece alder body with countersunk screws for even more vibration transfer. The comfortable “’57 Soft V”-shaped quartersawn maple neck bears a 12”-radius maple fingerboard and 21 medium-jumbo frets for enhanced playability.